Why would I need self storage in Redmond, WA? There are a variety of reasons why you might need self-storage in Redmond, WA. How much is a storage unit in Redmond, WA? The cheapest storage unit in Redmond, WA is $67.00 per month. What size storage units do you have available in Redmond, WA? In Redmond, WA we have sizes that range from 5'x5' to 10'x30' to suit your storage needs. How much is it for a 5'x5' storage unit in Redmond, WA? The cheapest 5'x5' storage unit in Redmond, WA is $67.00 per month. Redmond is a thriving city just outside of Seattle, located within a major high-tech corridor of the metropolitan area. It is popularly known as the home of both Microsoft and Nintendo, and has been nicknamed the "Bicycle Capital of the Northwest" for its unique velodrome and annual city-street bike race. Long before European and American settlers found their way to Redmond, the only inhabitants were Native Americans. The glacial soil provided fertile farmland, while forests and rivers provided more than enough game. In the 1870s, settlers began to occupy the area, ushering in the timber and logging industry. In 1912, the city incorporated with just over 300 permanent residents. In the 1920s, the logging industry faded, and until the 1960s, Redmond remained dependent on agriculture. Due to cheap land, however, Redmond eventually became the home of several high-tech giants. These companies, such as Microsoft and Nintendo, are still the economic center of the town today. Richmond has experienced major growth in recent decades, drawing new residents with a variety of attractive characteristics. A strong job market, tied to a very low unemployment rate, has fueled much of the growth. The city also offers numerous recreational activities, providing plenty of places and occasions for both children and adults to enjoy the outdoors. Redmond also hosts the Redmond Derby Days, the longest continuously running bicycle race and festival in the country. The job market in Redmond is one of the strongest in the country, primarily due to Microsoft providing tens of thousands of local jobs. Other large companies include Terex, AT&T, Nintendo, Honeywell, UPS and Aerojet. In 2015, Forbes ranked Redmond as the "Happiest Place to Live in the Country for Young Professionals," as well as sixth on the list of "Happiest Places to Work in Right Now." Redmond is part of Lake Washington School District, which is very highly-ranked among the public districts in the state. 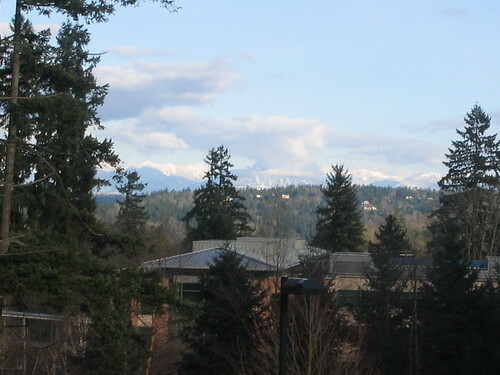 There are three private schools in Redmond as well, each one offering a specialized education: secular, faith-based and performing arts-focused. Utilities: Redmond's major utilities providers include Puget Sound Energy, Cascade Natural Gas and the city utilities department. Garbage and Recycling: All homes in Redmond receive curbside collection services for trash, recycling and yard waste. Transportation: King County Metro Transit and Sound Transit both operate several bus routes in Redmond, providing convenient connections and access to the greater Seattle metro area. Top-rated schools, numerous recreation opportunities and a thriving job market are just a few of the reasons people move to Redmond. As a result, the area's real estate prices have increased rapidly and are higher than the Seattle average. Because demand is fairly high, the housing market can be competitive, with homes selling fairly quickly. However, a varied range of options make it easier to find something that fits your needs. Our lowest priced units in Redmond, WA average $67.00 per month. 47 people have reserved units in Redmond, WA in the past 30 days. There is 1 location within Redmond, WA's city limits.